Strictly speaking, the application of standard filtration media (needle felt) only provides an initial barrier for incoming particles of dust. 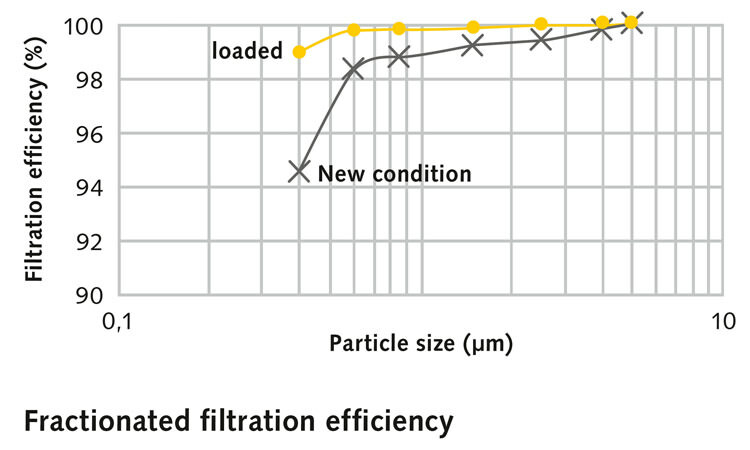 The dust cake established on the filtration medium assumes the separation of the particles in the further process cycle. It is technically desired that the particles of dust only separate on the surface of the filtration medium and not penetrate deeper. However in practice this is not possible, so that penetrating particles blind the filtration medium with time and the differential pressure increases. In most cases, the penetrating particles are very difficult to remove from the needle felt during cleaning. The consequence is that the energy consumption of the filtration system increases, because cleaning is required more often. In addition, there is more demand on filtration material through the more frequent cleaning, which reduces the service life of the filter bags. 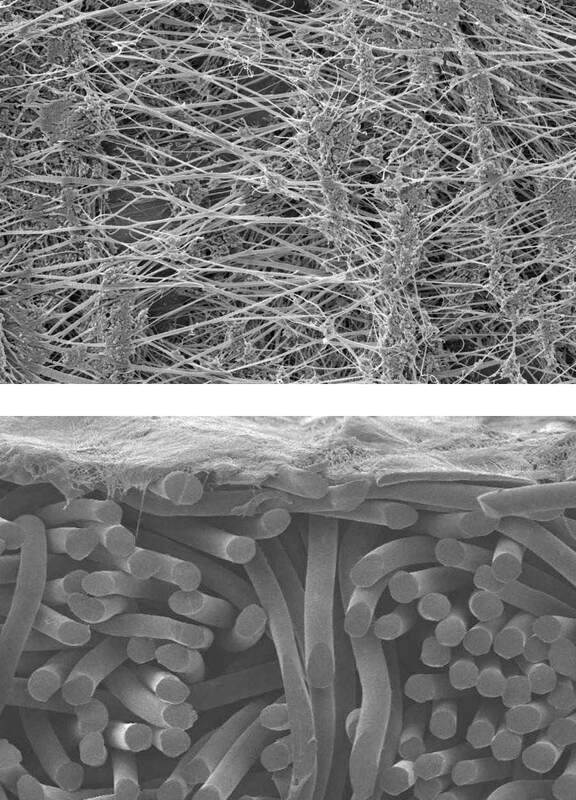 In many cases, an ePTFE Membrane can provide assistance. The ePTFE Membrane is a thin, highly porous membrane that can be applied to different filtration media using a special lamination process. It consists of millions of the finest fibres and intersection arranged at random and has the effect of a permanent dust cake. The effective size of the pores is many times smaller than they could be seen with the naked eye, whereby, high efficiency is achieved with the retention of fine particles. The finest incoming particles of dust are immediately separated on the surface of the membrane, whereby, optimum surface filtration is attained and hardly a particle can embed itself in the needle felt. Because of the very smooth surface of the membrane, the dust cake is easily removed during cleaning. The ePTFE Membrane is available on various fabrics, needle felts and fleeces.